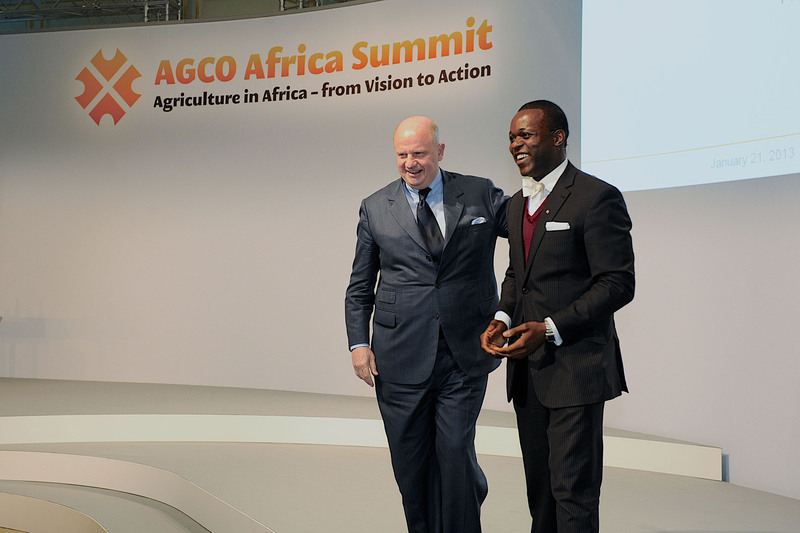 The AGCO Africa Summit in Berlin in January came and went by very quickly but not so fast as to deny me of memorable moments. First of all I would like to thank AGCO for granting me this great opportunity as their Africa Ambassador 2013. It was overwhelming to be chosen via the video contest from more than 30 applicants and it was a great experience to host such a top-class international conference. As was to be expected, the high profile representatives from industry and government from within and outside Africa left indelible impressions on me with their varying perspectives about agriculture. 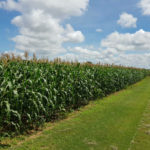 Agriculture plays a major role in Africa’s future and the world’s food security. It was not a surprise that the final keynote speech by Chief Olusegun Obasanjo, former President of Nigeria, was potent enough to make any businessman, who may have never considered becoming a farmer, to entertain thoughts of serious involvement in ‘agri-business’. Meeting and interacting with experts of various nationalities and cultures who all have Africa in common one way or another was indeed an experience of high value. It was a particular delight and also a deep honor to announce the speeches of Former Presidents John Agyekum Kufuour (Ghana) and Horst Koehler (Germany). Laetitia spoke very clearly about how and why she started rabbit farming, an initiative that would grow into an excellent example of social entrepreneurship with her Women Rabbit’s Association and My Idea Rabbit Center. Her presentation about why she chose rabbits over other livestock was so compelling that I have begun to ponder why I should not start my very own rabbit farm in Nigeria. The AGCO Africa Summit, Agriculture in Africa – From Vision to Action, served as a call to action for all involved; policy makers, farmers, financiers and entrepreneurs. Participants got insight into the peculiarities of the African agribusiness landscape with the incredible opportunities available through sustainable agriculture. I am certainly pleased to have been involved and I am grateful to AGCO’s leadership and very talented international team for the opportunity. It was a great honor to meet and interact closely with Martin Richenhagen , Nuradin Osman and several other inspiring leaders of this leading global agricultural equipment manufacturer. This report would be incomplete without mentioning the delight of experiencing Germany for the first time: the food, the people and the architecture that had me take pictures and video clips enough for a mini documentary. Visiting Berlin in the dead of winter was indeed as cold as expected but the allure of the city could not be overcome by the snow and chill. The sophistication of the city and its rich history is hard to go unnoticed while looking through the windows of your taxi or while going on foot down any Strasse. I look forward to another trip to Berlin, but more importantly I envision the many great and innovative actions that AGCO, its partners, customers, suppliers and you and I will take on in the coming years for agriculture in Africa. Thank you AGCO for your commitment in Africa and thanks to all the participants for moving last year‘s conversation forward – I am glad to be a part of this and I am happy to be your AGCO Africa Ambassador in 2013.